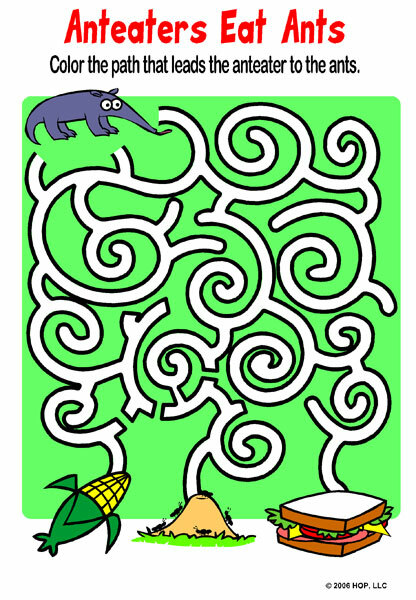 Here is a cartoon maze that was part of a series of Hooked on Phonics activity books that contained mazes, coloring pages, connect the dots, shape recognition and more. The project was a lot of fun to work on because I got to design a lot of fun, colorful cartoon animals like an aardvark, a cartoon lion, a cartoon monkey, a cartoon tiger and more. I’ll post some more pages from the books in coming weeks. 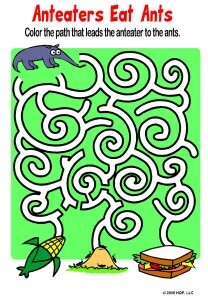 This entry was posted in Cartoon Logo & Character Design, Illustration and tagged activity book, cartoon aardvark, cartoon animals, cartoon maze, character design. Bookmark the permalink.